The 60 years old Mercedes-Benz 190 SL, a popular model among collectors, now qualifies as a participant in the present-day Mille Miglia. All thanks to new findings showing the iconic roadster took part in the “1000 Miles” race from Brescia to Rome, back in 1956. Documents in the archive of the Museo Mille Miglia in Brescia have confirmed that the nine Mercedes-Benz vehicles which were privately entered for the 1956 Mille Miglia included not only additional 300 SL “Gullwing” models, but also a 190 SL, entered in the 1956 Mille Miglia by the French driving team of Michel Bianco / Jean Loup Pellecuer. The 190 SL had the starting number 347, corresponding to a start time of 3:47 in the morning, and took 121st place after a race time of 16 hours, 6 minutes and 15 seconds. 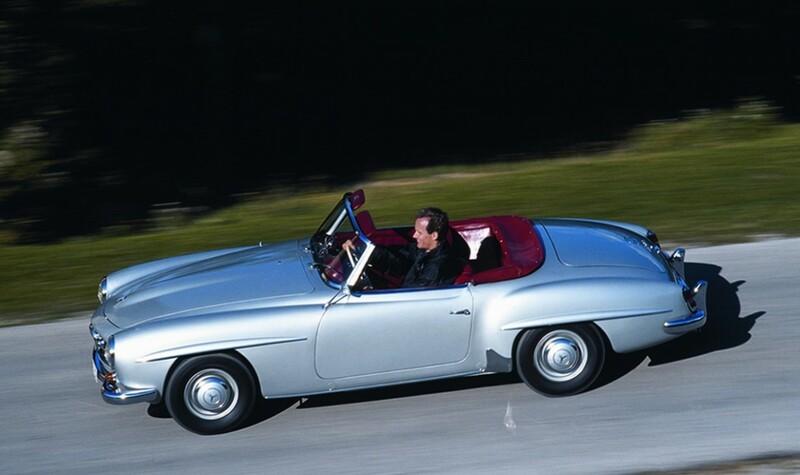 The fact that even specialist circles were largely unaware that the 190 SL had competed during the original Mille Miglia era is probably due to the official reports issued by the Brescia Automobile Club at the time only referring to the vehicle as a Mercedes without specifying the model designation. The modern Mille Miglia is a very restrictive event. The right to participate is reserved exclusively for models which were represented in the original road race that was held from 1927 to 1957. In light of the new findings, the organiser of the present-day Mille Miglia will add the 190 SL to the list of vehicles authorised to take part in the event. Internally known under the code W121, the iconic luxury roadster was first shown in prototype form at the 1954 New York Auto Show and has been subsequently produced between May 1955 and February 1963. 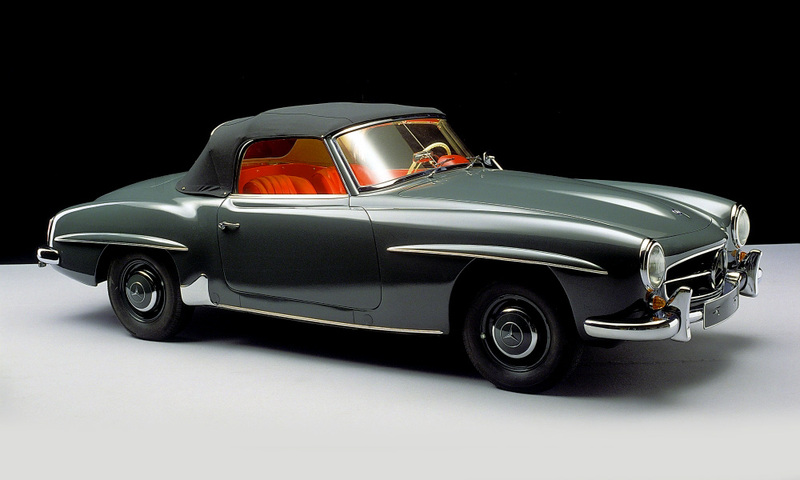 The Mercedes-Benz 190 SL shared both its styling and engineering characteristics with the more expensive 300SL. Billed as a more affordable alternative, the 190 SL still used the same fully independent suspension (double wishbones at the front and swing axles at the rear) as its sibling. What it did not inherit from the 300 SL was its purpose-built tubular spaceframe. The 190 SL was built on a shortened monocoque R121 platform modified from the W121 small saloon, instead. 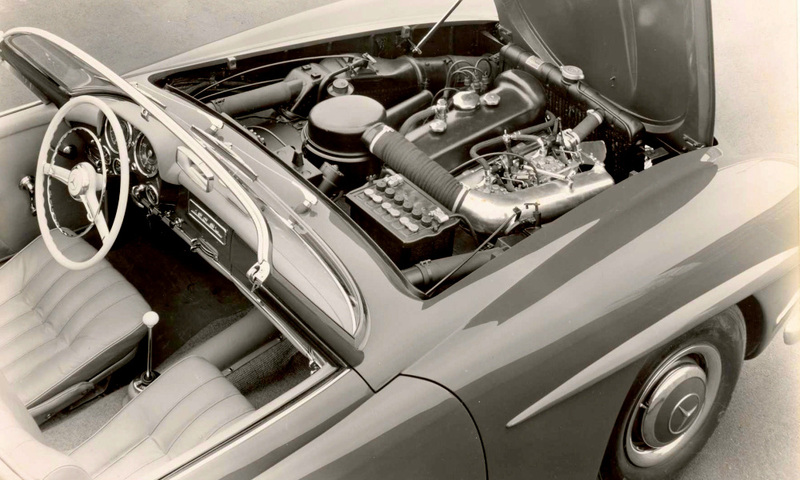 Power came from a new 105 HP (77 kW) Type M121 BII 1.9-litre four-cylinder SOHC engine, derived from the 300 SL’s straight six. It featured unchanged 85 mm bore and 4.3 mm reduced 83.6 mm stroke and was fitted with twin-choke dual Solex carburetors. The engine also served its time under the bonnets of the W120 180 and W121 190 models, although in a detuned form. 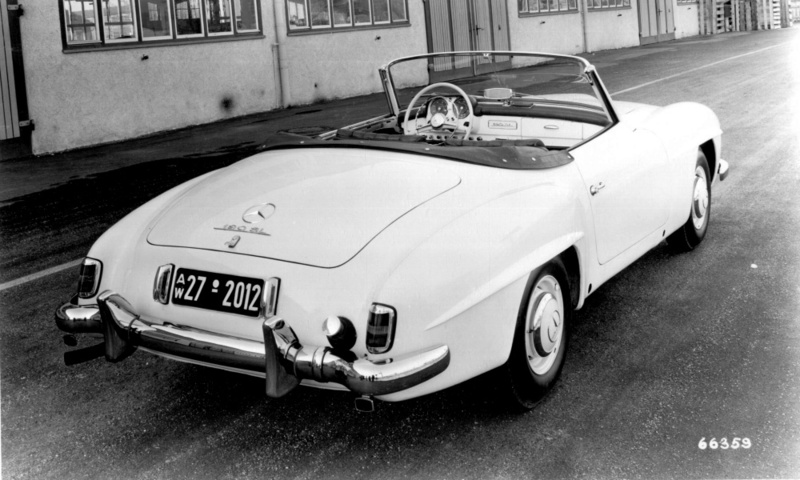 A total of 25,881 vehicles were produced between 1955 and 1963 with almost 40 per cent of all 190 SL models were sold in the USA.